2-BR Newly Renovated Apartment with Garage in Blue Ridge. Flood free 4 bedroom Apartment in QC. New Capitol Estates 1 Studio unit Ever Gotesco Commonwealth. N.S. 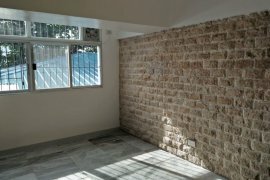 Amoranto (Retiro) Apartment or Office for Rent. Your new Apartment home in Lagro Quezon City. Cubao Transient Room 400 a day. 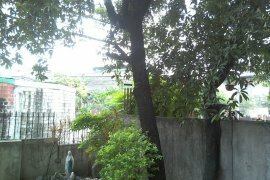 Room for Rent in Fairview near FEU NRMF. Affordable Apartment Unit for Rent near UERM. STUDIO UNITS for RENT starts at 8k. Office or Residential Studio units for rent at 241 P. Tuazon Cubao Quezon City. 1 bedroom Condo for rent. ROOM FOR RENT with OWN water & electric meter in QC. Room for rent or Bedspace. Hello, Please contact me, I am interested in apartments for Rent in Quezon City. Best Regards. Dot Property is Philippines’s leading online real estate rental resource, listing 18 affordable apartments for rent in Quezon City. Save this search to receive emails when new apartments for rent are listed in Quezon City. Rental properties in Quezon City are provided by Philippines’s top real estate professionals and private home owners. Agents such as Michelle Madarang - Trusted Real Estate Broker, Gena Mahinay-Rilling and loreza 'dexra' asistio can also help you speed up your apartments search in Quezon City. You can also create your own rental listing by uploading your apartments for rent for free in two easy steps - signing in and creating a property ad. In addition to rentals in Quezon City. Dot Property also provides apartments for sale in Quezon City should you like to compare availability.